The Attiny85 is a nice little 8 pin chip which is ideal for simple projects, they are low cost and if you have an Arduino you can actually burn the bootloader and upload your sketches to the microcontroller, this is perfect for beginners. I recommend buying one of the cheap Arduino Uno clones for this task and using it for this purpose. To program the ATtiny85 we need to first set Arduino Uno as an ISP. 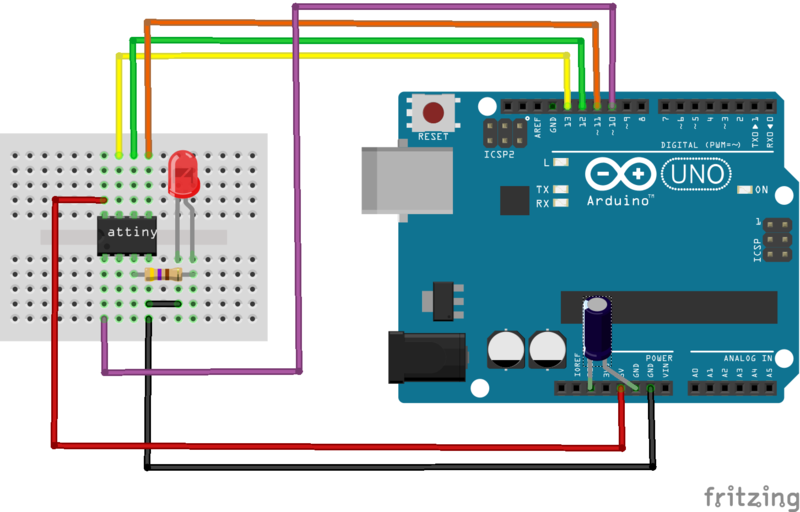 Connect your Arduino Uno to the PC. Open the Arduino IDE and open the ArduinoISP example file (File -> Examples -> ArduinoISP) and upload it. If there are no error messages the your Arduino should be good to go. A 10uF capacitor is required between RESET and GND in arduino. This is to avoid the arduino from being auto reset when we upload the program to attiny85. If you are using a electrolytic capacitor make sure the anode of the capacitor goes in GND of the Arduino. Select ATtiny under Tools -> Board. Select ATtiny85 under Tools -> Processor. Select 8 MHz (internal) under Tools -> Clock. 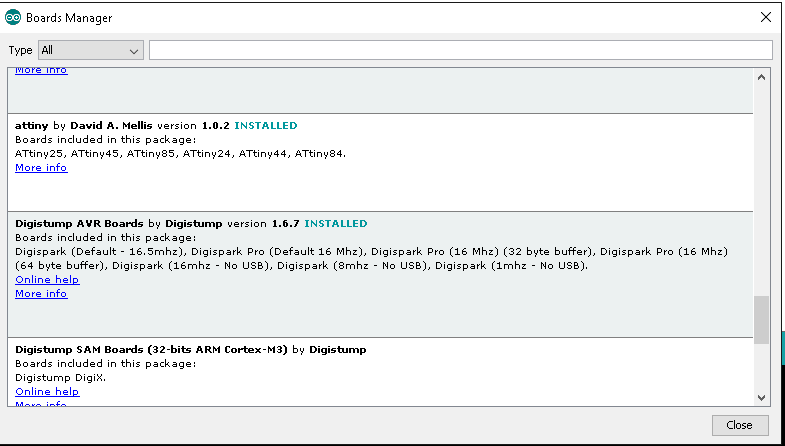 Select Arduino as ISP is selected under Tools -> Programmer. Select Tools -> Burn Bootloader. // initialize digital pin 4 as an output. Upload the sketch and if there are no errors the LED connected to pin 3 of your Attiny85 should blink on and off and that’s it.